Plastics are still worthy materials: given the investments in the production of biobased/natural material-based alternatives and research on keeping the environment safe with plastics that degrade in the oceans; as well as using end-of-life plastics for fuel. 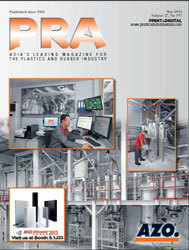 The production capacities of biobased polymers continue to grow at around 3 to 4% a year, i.e. at about the same rate as oil-based polymers. Therefore, the market share of biobased polymers in the total polymer market remains constant at around 2%, according to a report titled “Biobased Building Blocks and Polymers – Global Capacities and Trends 2017-2022, by Nova Institut. Along this line, Italy’s Bio-On has inaugurated in Italy the first bioplastics plant built with an investment of EUR20 million. Located in the production hub known as Castel San Pietro Terme, near Bologna, the facility will produce various types of special biopolymers, particularly Minerv Bio Cosmetics, a biodegradable PHA (polyhydroxyalkanoates) bioplastic designed to replace harmful microbeads in today's cosmetics. Current production capacity is 1,000 tonnes/year, with plans to double it in the future. The new plant is also the headquarters of CNS division laboratories (Cosmetic, Nanomedicine & Smart Materials), employing over 20 researchers who are conducting tests on new carbon sources from agricultural waste to produce new types of biodegradable bioplastic and increase the range of technologies offered by Bio-On. 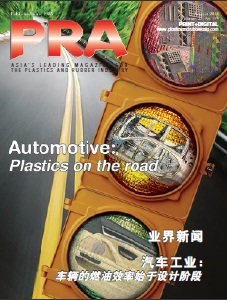 Research is also undergoing on tapping the potential of natural materials to produce environmental-friendly plastic. This includes crab shells and tree fibres, utilised by researchers from the Georgia Institute of Technology. The derived material has the potential to replace the flexible plastic packaging. Work on the new material, recently published in the journal ACS Sustainable Chemistry and Engineering, entails spraying multiple layers of chitin from crab shells and cellulose from trees to form a flexible film similar to plastic packaging film. The researchers explained that the main benchmark that they compare it to is PET. “Our material showed up to a 67% reduction in oxygen permeability over some forms of PET, which means it could in theory keep foods fresher longer,” they said. The team had been looking into chitin’s potential for use in food packaging. Since chitin nanofibres are positively charged, and the cellulose nanocrystals are negatively charged, they might work well as alternating layers in coatings because they would form a nice interface between them, he said. The film’s crystalline structure provides good oxygen barrier, which if used in packaging, may help retain freshness of food. Development on the material is ongoing to make it suitable for flexible packaging application and commercially feasible. Meanwhile, also on cellulose fibres, research and technology company VTT Technical Research Centre of Finland (VTT) has developed a 100% recyclable foamformed material as an alternative to EPS. The material is based on 100% renewable material – wood pulp – and can be recycled in the same way as cardboard. The packaging and cushioning material can also be burned or composted like paper. In addition to being eco-friendly, the foam-forming technology allows short and long fibres to be combined to improve the mechanical performance of the foam, providing better protection. What's more, cellulose fibres can be combined with polymer or biopolymer fibres for greater versatility. Foam-formed cellulose-based materials also look like a paper product. And though it is still costly, VTT says that once cellulose-based foam production is up-scaled and becomes mainstream, it expects the price to be reasonable and lower than PLA, another alternative for EPS. To solve the global waste problem with the spill-over in oceans, VTT is developing microbes that degrade plastic as part of a project called PlastBug. The aim is to develop a small, container-based factory that can be placed in an area where centralised plastic waste collecting or recycling is not possible or feasible. The container can be located on a beach or ship. The factory unit would get most its energy needed for the process from solar energy and wind power. This year, researchers in the PlastBug project have been searching microbes that are capable of degrading different kind of plastics (PE, PP, PS or PET) and developed methods for the pre-treatment of plastics. Researchers are currently using a threestage screening method to screen microbes from different sources. A complete process is being engineered around the fermenting unit containing microbes – a small plant in which plastic is modified from waste to products. The aim is that the pilot unit will operate on the Baltic Sea in 2021, but funding still needs to be secured for the realisation of this plan. If the process can be made to work effectively enough, the PlastBug units can progress to commercial production and operate in different locations around the world. Meanwhile, working along the lines of plastics that degrade in the ocean, BioLogiQ Inc, a US manufacturer of biobased and compostable thermoplastic resins derived from potato starch, has created a blend of its NuPlastiQ GP grade with PBAT (polybutylene adipate terephthalate), called NuPlastiQ MB BioPolymer. It says that tests performed by Eden Research Laboratory have now shown 97% biodegradation of a GP/PBAT film in ocean water within a year, according to ASTM-D6691 standards for marine biodegradability. The key to this new plastic compound is BioLogiQ's NuPlastiQ GP General Purpose BioPolymer. GP is a 100% natural, renewably-resourced, plant-based resin that has been certified by TUV Austria to marine biodegrade in 28 days. PBAT, though, does not have the same certification and the the firm says it plans to work with industry and governments to develop new standards for marine degradation. Along the lines of using PBAT resin, researchers at ETH Zurich and the Swiss Federal Institute of Aquatic Science and Technology (Eawag) have done a study to demonstrate that soil microorganisms metabolically utilised the carbon in the PBAT polymer both for energy production and also to build up microbial biomass. The researchers used the biodegradable polymer PBAT labelled with a carbon isotope that enabled scientists to track the polymer-derived carbon along different biodegradation pathways in soil. It showed that the carbon from PBAT was not only converted into carbon dioxide as a result of microbial respiration but also incorporated into the biomass of microorganisms colonising the polymer surface. The researchers are the first to successfully demonstrate where the carbon of a polymer ends up and that a plastic material is effectively biodegrading in soils. Thus, with this study, two concerns that are constantly being raised about biodegradable plastics have been rebutted – the doubt that microorganisms fully metabolise certified biodegradable plastics and the concern that the oilbased part of the polymer will not biodegrade completely. Renewable diesel producer Neste, UK-based chemical recycling company ReNew ELP, and Australian technology developer Licella are joining forces in a development project to explore the potential of using mixed waste plastic as a raw material for fuels, chemicals, and new plastics. ReNew ELP is commencing construction of a chemical recycling plant in Teesside, UK, with a target to recycle end-of-life plastic to produce raw material for a range of petrochemical products. This will be the first commercial scale plant based on Cat-HTR technology, a catalytic hydrothermal liquefaction platform developed by Licella over the past ten years, with an investment of A$75 million. The collaboration also involves Armstrong Energy, who in a joint venture with Licella is leading the financing of the Teesside facility and global deployment of the Cat-HTR technology. Although the plant construction is not included in this collaboration project with Neste, it will nevertheless contribute to a common goal of enabling more efficient waste plastic utilisation in the future. In another project, scientists may have cinched a sure fire way of turning plastic waste into hydrogen, with the hope that it would one day power cars. It involves adding a light-absorbing material to plastic, placing it in a solution and exposing it to sunlight. Dr Moritz Kuehnel, from Swansea University's chemistry department, said it could be cheaper than recycling plastic as any plastic can be used and it does not need cleaning. He says that PET bottles can be recycled but are not always recycled and even if they are recycled, it needs to be very pure, so only PET and nothing else is mixed in it. "Potentially you need to wash it which is very expensive, and even if you do all of that, the plastic you get isn't always as nice as virgin material. It is often not used to make plastic bottles because no-one wants to buy a cloudy bottle." The new process, he adds, produces hydrogen gas that can be used to fuel a hydrogen car. The plastic is cut and surface rubbed to make it rough, a photo catalyst, which is a material that can absorb sunlight and use the energy in it to transform it into a chemical energy, is added on to the plastic; it is then put into a particular type of alkaline solution and sunlight, or a solar simulator lamp which mimics sunlight, is shone on to it to produce the hydrogen. Dr Kuehnel said the remains of the plastic could be recycled to make new plastic. "For PET, it consists of terephthalic acid and ethylene glycol - two components that make a chain that makes a polymer," he added. "In the process we degrade one bit, ethylene glycol. This is what produces hydrogen and CO2, and the other bit stays intact and remains in the solution. We get the hydrogen fuel and we get a chemical we can use to make new plastic,” he explained. The work is being funded through the Engineering and Physical Sciences Research Council and an Austrian petrochemical company. Though the above examples show the path taken by companies to develop environmentally friendly plastics, still, there’s more work to be done: to make the new materials competitive with traditional materials on costs and to develop manufacturing processes that maximise economies of scale.